The Shepherd Rams baseball team (4-6) came through with a hard-fought 4-1 victory over the Queens College Knights (1-5) on Friday afternoon, March 10, in Shepherdstown, West Virginia. 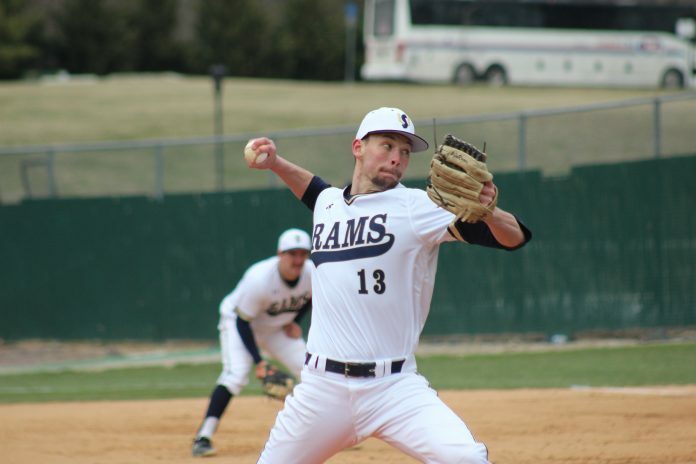 Shepherd was largely carried by junior starting pitcher Ryan Potts in the victory over Queens College. Potts (W, 3-1), in his seven innings of work, allowed one run on six hits, walked just two batters, and struck out four Knights on the afternoon. At times, Potts did have problems with his control, as evidenced by his one wild pitch and hitting two Knights’ batters, but was able to find composure at various points in the game and largely shut down the Knights’ offense. 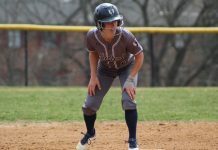 The only run that the Knights were able to generate against Potts came courtesy of a solo-shot homerun by Knights’ senior left fielder Sam Siegel in the top of the seventh inning that made it a 3-1 score in favor of the Rams. Shepherd scored the first three runs of the game to put even more pressure on the Knights’ struggling offense. In the bottom of the second inning, senior third baseman Chase Hoffman showed aggression by attempting to steal third base. Hoffman reached third base on the attempt, but the Knights’ catcher made an errant throw to a fellow Knight trying to tag out Hoffman. This costly mistake gave Hoffman enough time to round third base and head home for the game’s first run, giving the Rams a 1-0 lead. An RBI-single by junior right fielder Nick Atkinson brought home sophomore center fielder Brenton Doyle in the bottom of the third inning to increase the Rams’ lead to 2-0. Junior left fielder Reid Entsminger put even more pressure on the Knights to generate run support with his RBI-double to left field that drove home sophomore short stop Trenton Burgreen, elevating the Rams’ lead to three with a 3-0 score in the bottom of the fourth inning. Junior pitcher Dennis Buckstein (L, 0-2), who took the loss for the Knights, pitched well in a few areas for the Knights. Buckstein pitched seven innings and surrendered four runs (three earned) on five hits, and struck out five Rams’ batters. Control was a bit of an issue for Buckstein, who walked four Rams’ batters, hit another Rams’ batter, and threw three wild pitches. 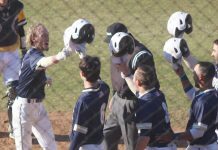 To his credit, the Rams only scored four runs, but on a day where the Knights’ offense was struggling, the margin of error turned out to be extremely thin. The Knights actually had seven hits compared to just five for the Rams, but still came out on the losing end. Shepherd was able to generate seven walks in the contest, while Queens College was able to produce just two walks itself. Shepherd played better fundamental baseball than Queens College did on Saturday afternoon. The Rams committed just one error in the game, while the Knights committed three errors that would turn out to be very costly. This game could best be summed up by a costly mistake made by the Knights in the bottom of the seventh inning. Clinging to a 3-1 lead, the Rams were trying to provide some insurance runs to add to their lead. With the bases loaded, Doyle drew a walk that capped off the frustrations of the Knights on this Friday afternoon. Freshman designated hitter Jared Carr came in to score on the play to augment the Rams’ lead to 4-1 heading into the final two innings of play. In the top of the eighth inning, Knights’ sophomore Anthony Scotti was hit by a pitch by Rams sophomore relief pitcher Wes Martin. Two batters later, sophomore third baseman Louis Antos singled to center field, as Scotti made it second base on the play. 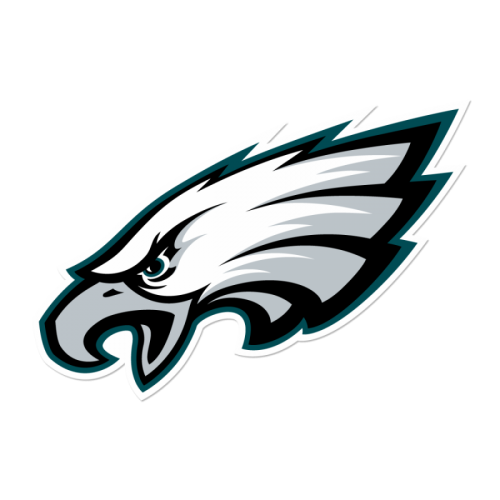 Pressure was starting to mount for the Rams, as it appeared that they were in danger of blowing the late lead. However, Scotti got two far away from second base and was picked off by Martin during the next at-bat. A pop up out was recorded by Burgreen to end the inning and halt the scoring threat put on display by the Knights. Martin closed out the 4-1 win in the top of the ninth inning by getting three consecutive ground outs of Knights’ batters to start the inning. It was not always pretty, but Martin came through for the Rams when it mattered most. 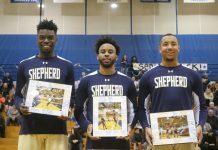 Shepherd plays Queens College again for two more games in a double-header in Shepherdstown on Saturday afternoon. Game one of the double-header starts at 12 p.m., with game two slated to start at 2:30 p.m.